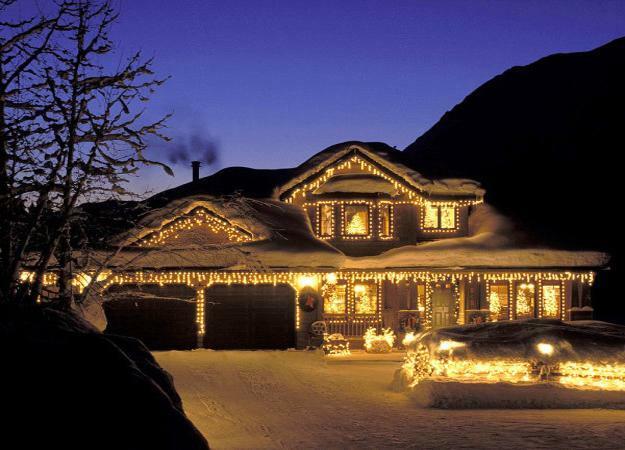 Christmas lights make winter decorating great fun.Christmas lights give any house exterior a warm, spectacular and magical look. 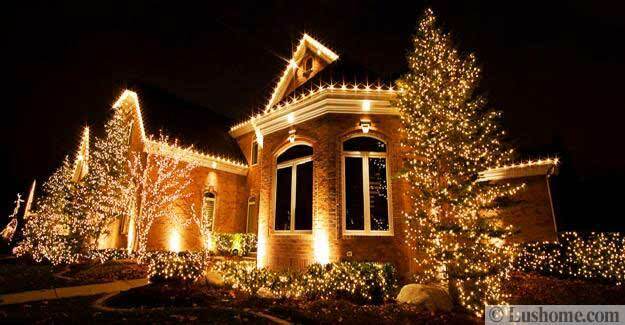 Strands of LED lights enhance Christmas decorating ideas and keep homes look welcoming and festive for the entire winter season. 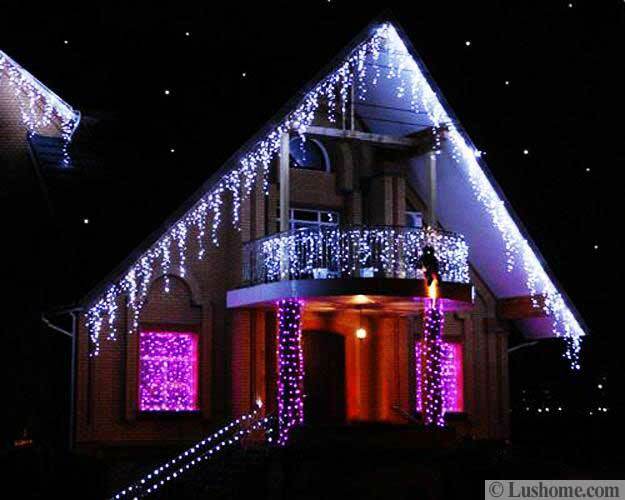 Lushome collection of gorgeous winter decorating ideas show fabulous outdoor lighting designs that compliment and enhance house exterior decor at night. 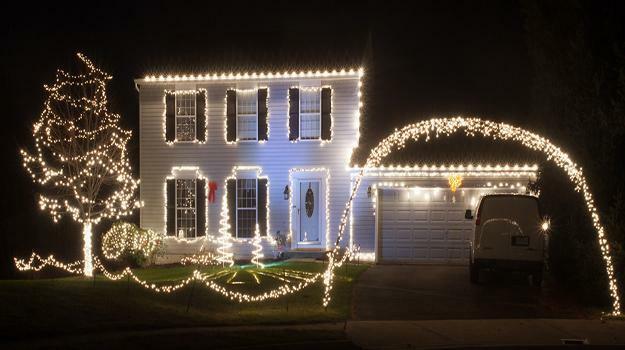 Christmas lights are versatile holiday decorations. 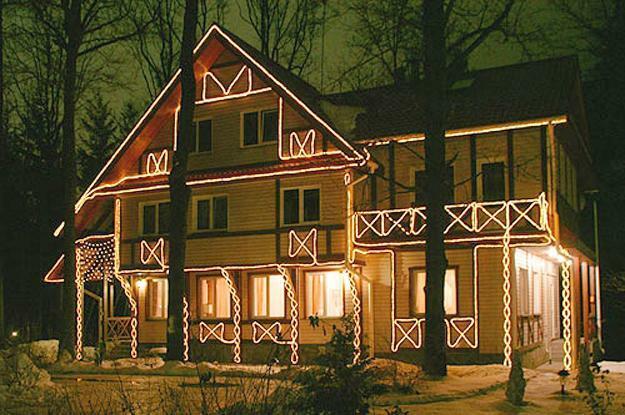 Small colorful outdoor lights bring a nostalgic feel and create amazing lighting design. 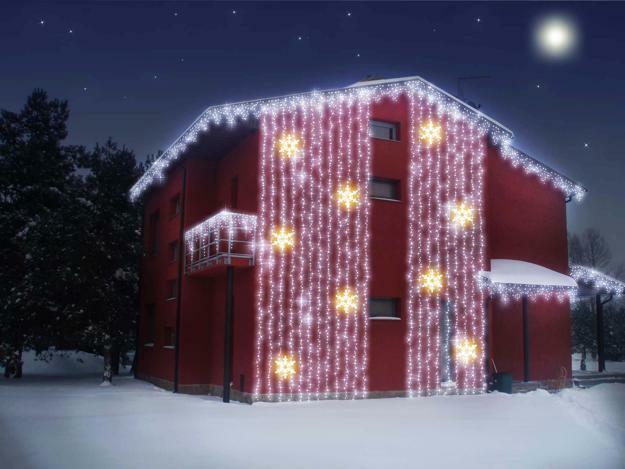 Contemporary LED lights are cost-efficient, beautiful and practically indestructible, ideal for glowing in the dark winter decorations. 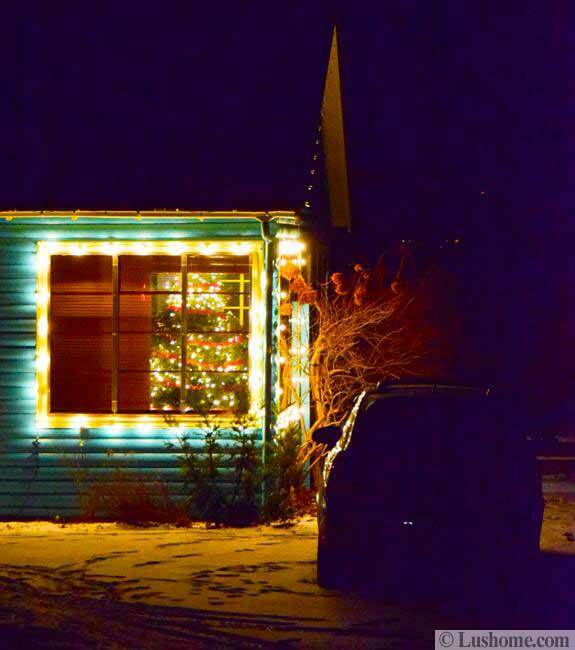 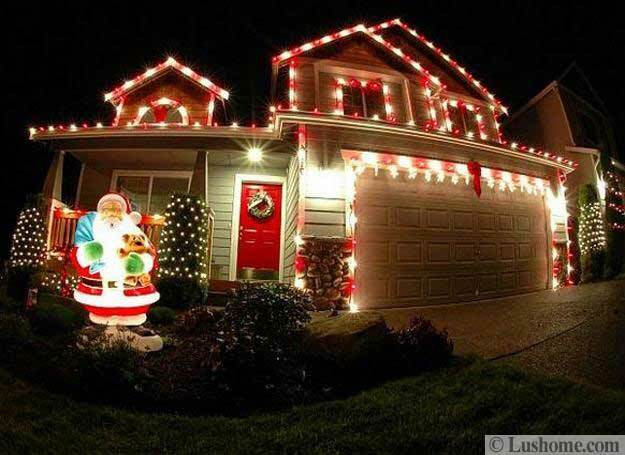 LED lights are two times more efficient than old time Christmas lights. 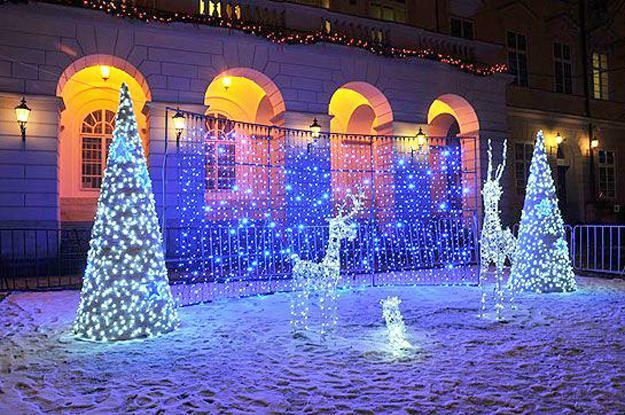 They have a minimum lifespan of 50,000 hours outdoors and last twice as long indoors, offering attractive and cheap decorations for winter holidays and everyday home decor. 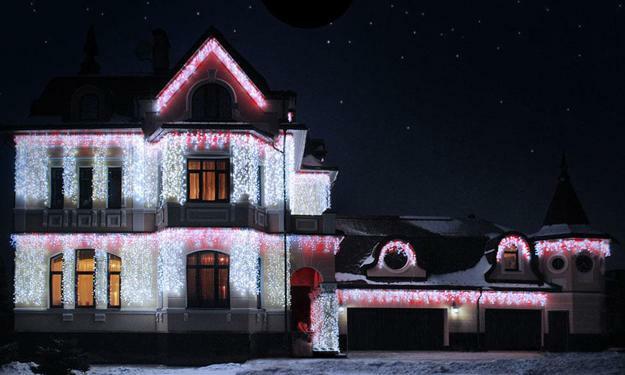 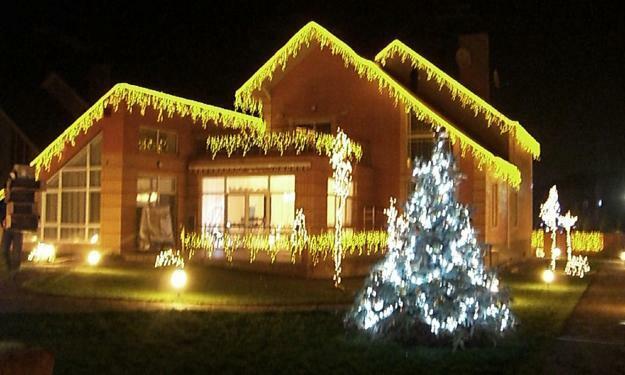 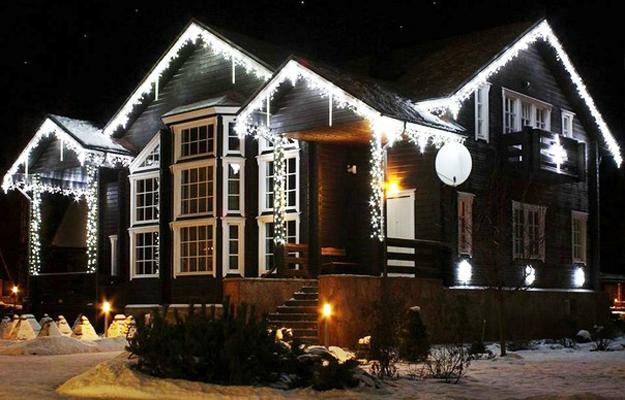 Energy efficient LED lights save you money and bring the magic of dazzling lighting design into winter nights. 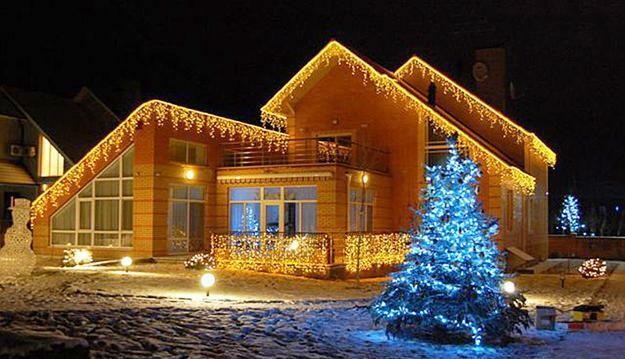 Lighting trees and shrubs, house exterior and fences with LED lights dramatically improves curb appeal of homes and decorates offices in a spectacular and bright way. 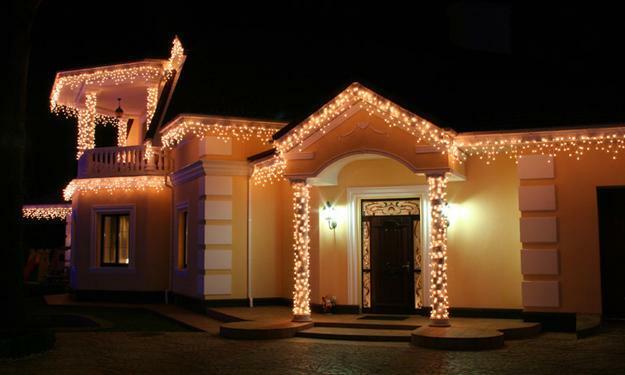 LED lights bring romance and mystery into outdoor home decor and beautifully highlight unique house exterior details. 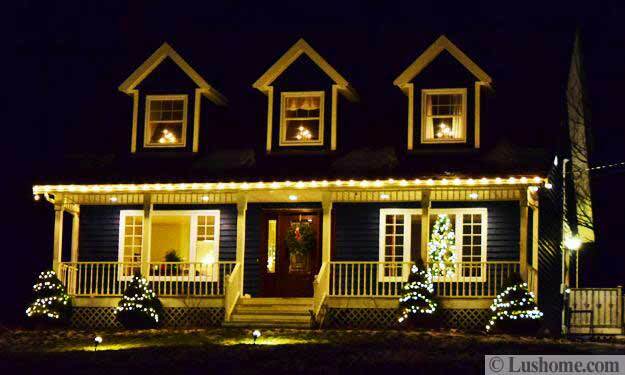 Wrapping trees and posts with Christmas lights and hanging these holiday decorations from the roof brighten up streets and create a festive, joyful and safe environment while adding striking lighting design to winter home decorating. 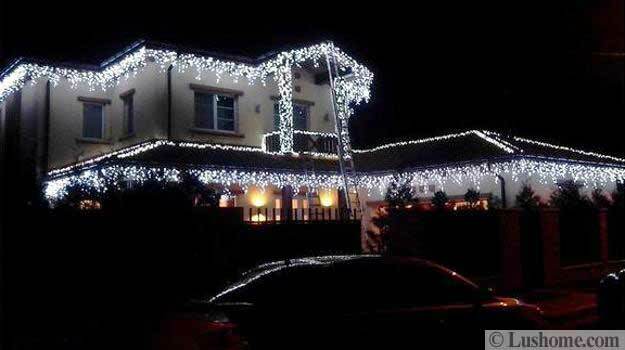 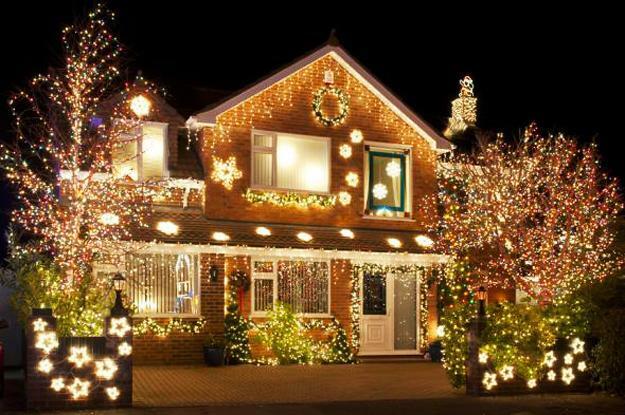 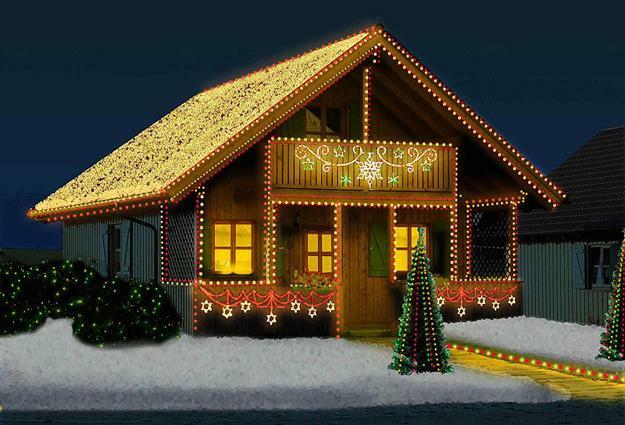 Christmas lights are wonderful for complimenting door decoration, porch and balcony decorating ideas. 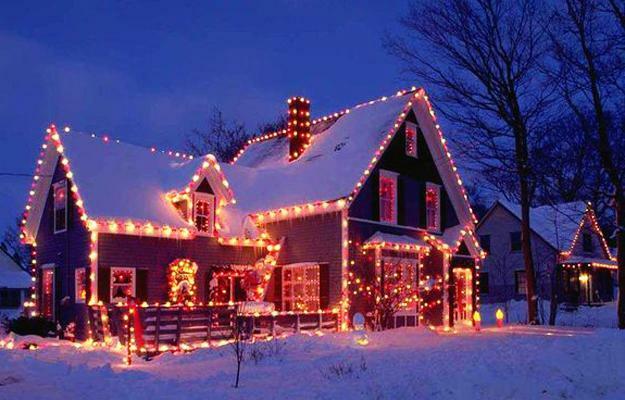 They make more beautiful all holiday decor items, from door wreaths to mechanical reindeer and hanging stars or icicles. 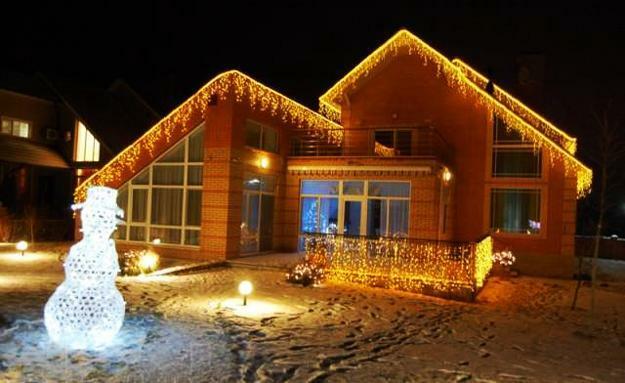 Christmas lights attractively accentuate your house exterior and yard landscaping, creating an inviting and pleasant atmosphere. 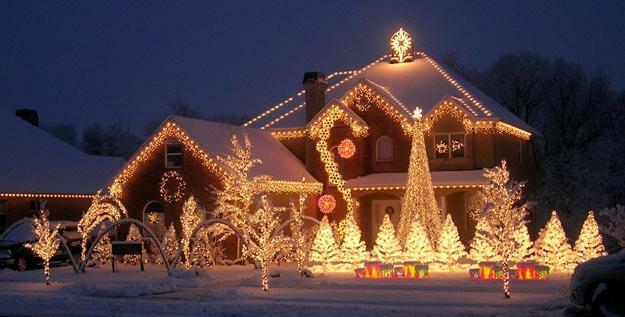 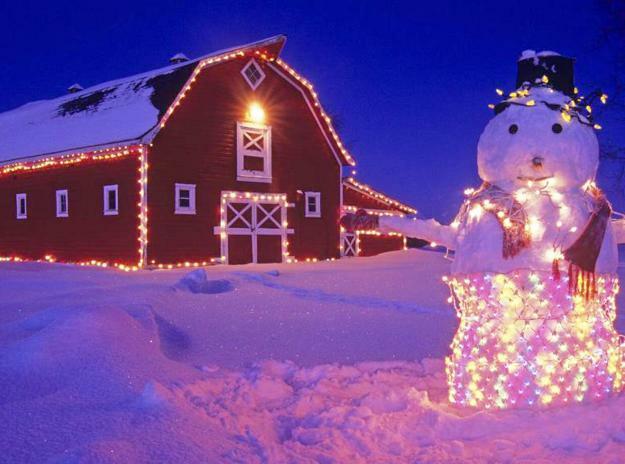 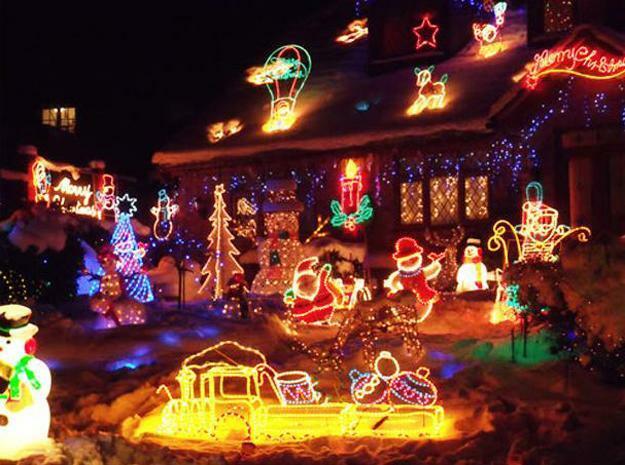 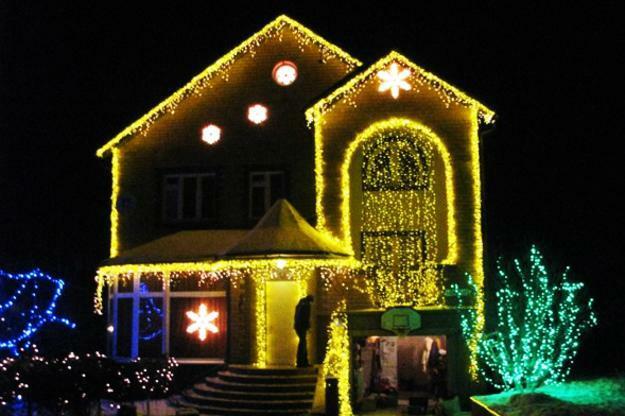 Christmas lights can be used for impressive and practical winter decorating. 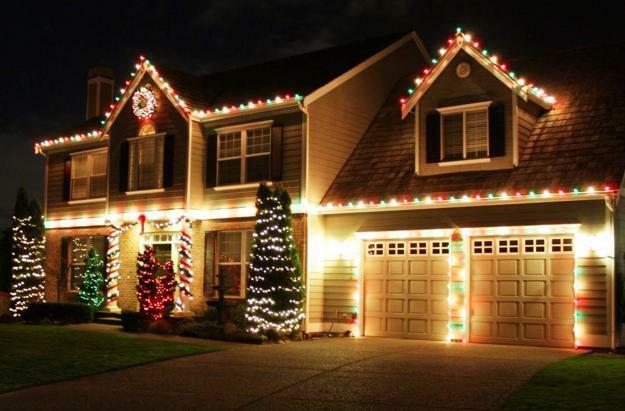 Christmas lights can illuminate walkways and stairs that lead to your front door, making walking safe and pleasant. 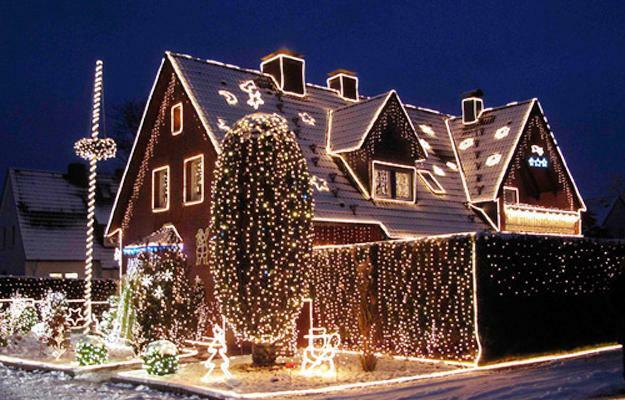 Outdoor lighting design ideas can be used for all winter holiday parties to surprise and delight your guests. 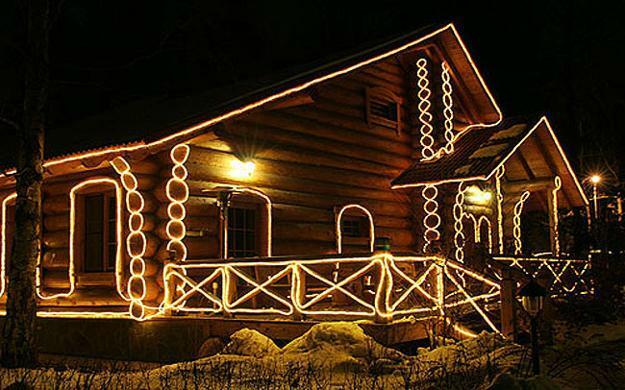 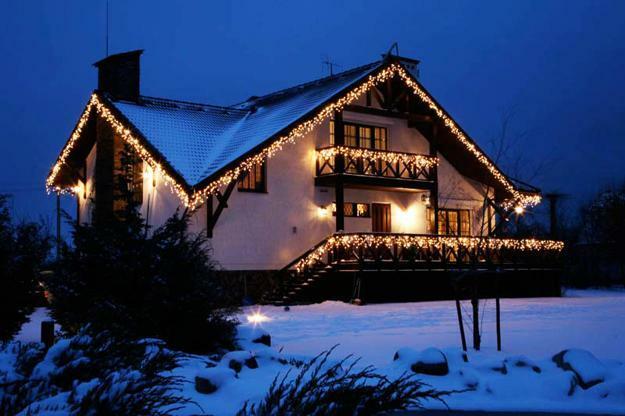 Outdoor lighting design ideas are a beautiful and charming way to add a dazzling, very special and bright touch to your winter home decorating. 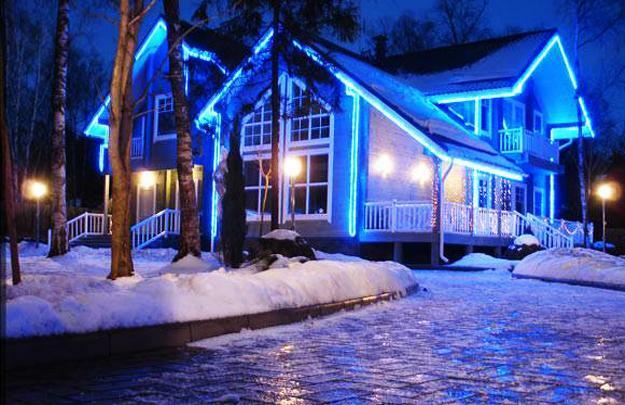 LED lights in various colors add majestic glow to the festive mood during winter holidays and keep everyday house exterior decor visible at night. 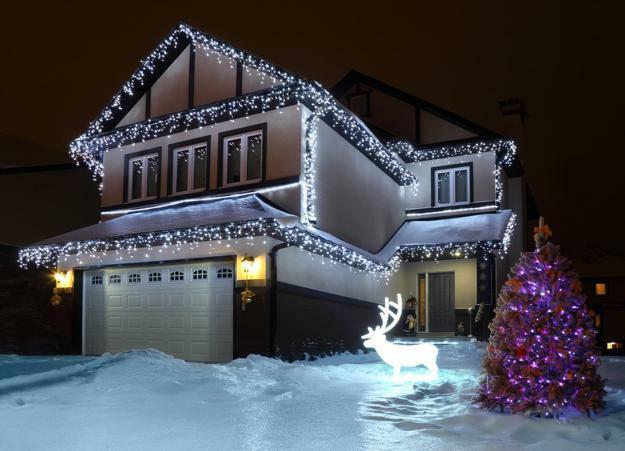 There is no limit on winter decorating options and lighting designs for Christmas, New Years Eve celebration or any other special occasions in winter. 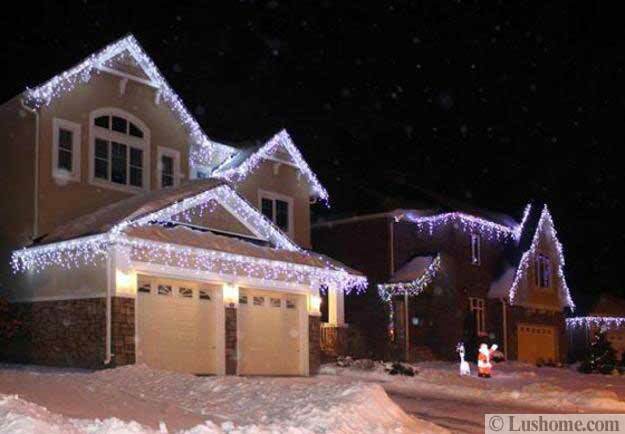 Spectacular, practical and energy efficient LED lights are excellent outdoor home decorations that brighten up neighborhoods and let people enjoy winter decorating longer.